I love nooks -- book nooks, bed nooks, small office nooks, breakfast nooks...you name it, I love it. A nook adds instant comfort to a room, and radiates a feeling of relaxation -- almost beckoning a person to settle in, cozy up, and enjoy a sweet afternoon read or cup of tea. Nooks 'live' in the midst of a well-planned out room -- effectively upping the cuteness of any space and making it effortlessly luxurious. 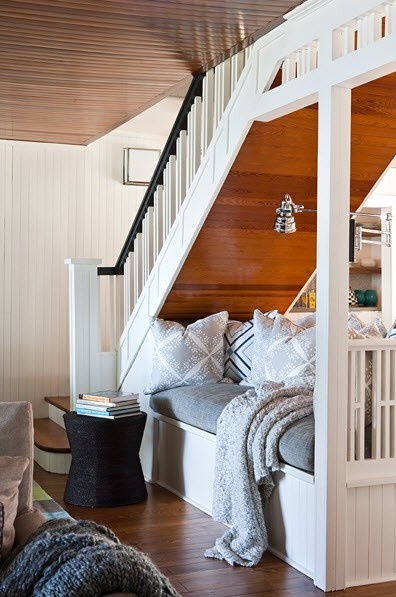 This under-the-stairs nook is completely cozy, with fluffy pillows abound and a side table for keeping a stack of books or a cup of coffee. I love the reading light, too -- it makes the space that much more inviting! This miniature desk nook would be the perfect place to do quick work on the computer or sketch. Layered shelving adds character and implements more room for storage and styling. I have featured this photo on the blog before, and I just can't get enough of it! A simple breakfast nook with comfy booth seating set against a window -- it doesn't get any better than this, people! 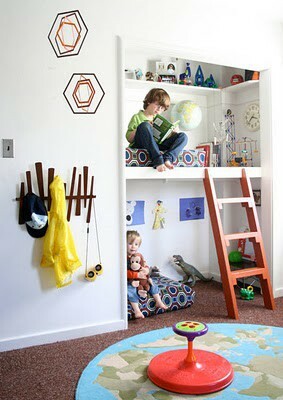 Add a small amount of built-in shelving, and you've got yourself one of the cutest nooks I ever did see! 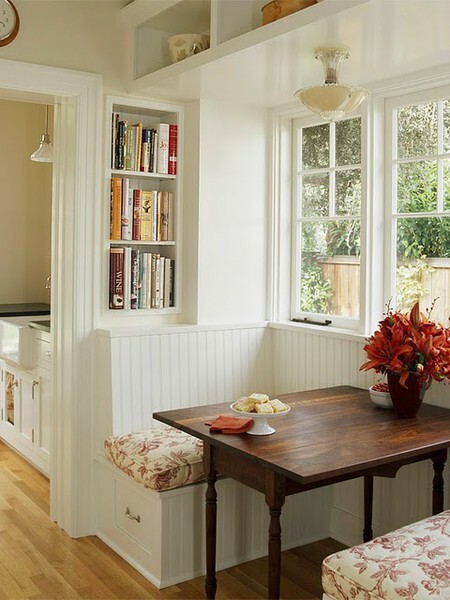 Here is another breakfast nook that I think is fabulous! There is an interesting flow going on here with the right angle from the window seat and the circular nature of the Tulip table. But it works! A large drum shade overhead adds instant drama to the space. I love the rustic-eclectic style of this room, and that window seat just looks so cushy and comfortable! An incredibly small stool adds quirky scale to the room. This nook workspace is large enough for two people, but still compact. The color palette is mainly white with choice pops of bright color brought in with the accessories, books, and office supplies. Okay, this may be my favorite. A sweet reading nook, perfect for sipping coffee or reading the morning newspaper. The jazzy print of the cushion is paired with soft accents that make me swoon! I love this nook, because it is actually a DIY project from one of my favorite blogs, Thrifty Decor Chick. Yes, Sarah did this all herself -- isn't it awesome?! 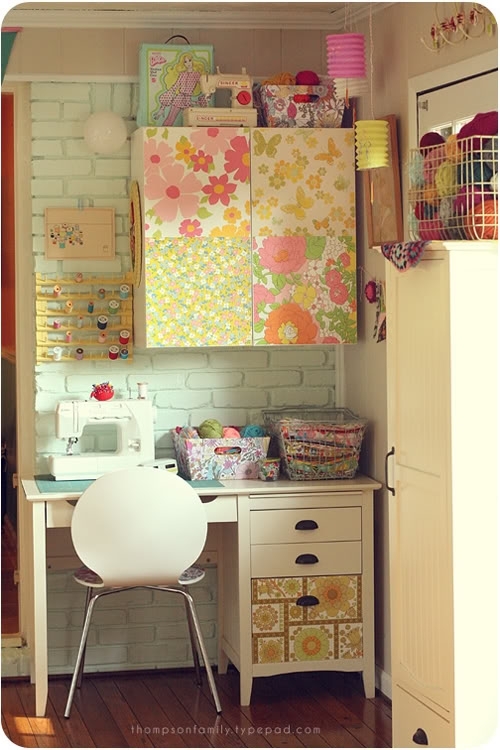 A small wall space nook is used as a creative and poppy sewing station -- I love this! 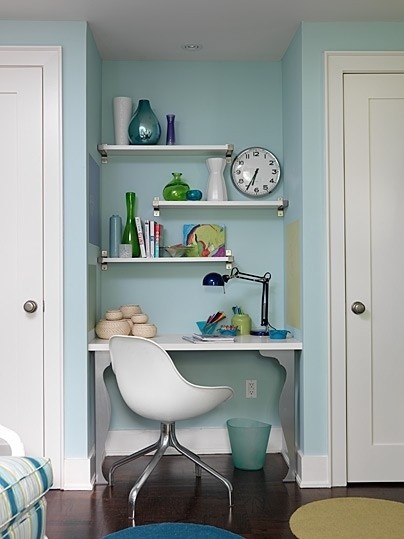 Great use of a tiny wall, with the perfect-sized furniture to accompany it! 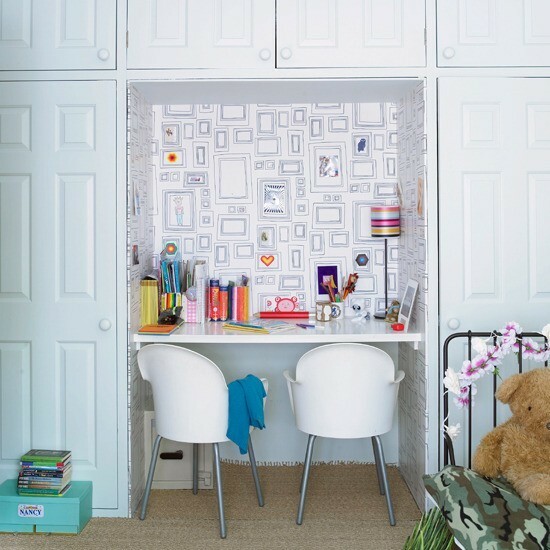 This wall nook is used as a the ultimate kiddo's play space -- filled with toys, collections, and handmade artwork. The cutesy space is completed with a small ladder to separate the top and bottom areas -- I love this so much! A small nook is used as a workspace, with a muted color palette and a pop of hot pink. I love the "pin-spiration" board above -- it adds such a pretty, artsy element that makes this space look utterly chic and complete. 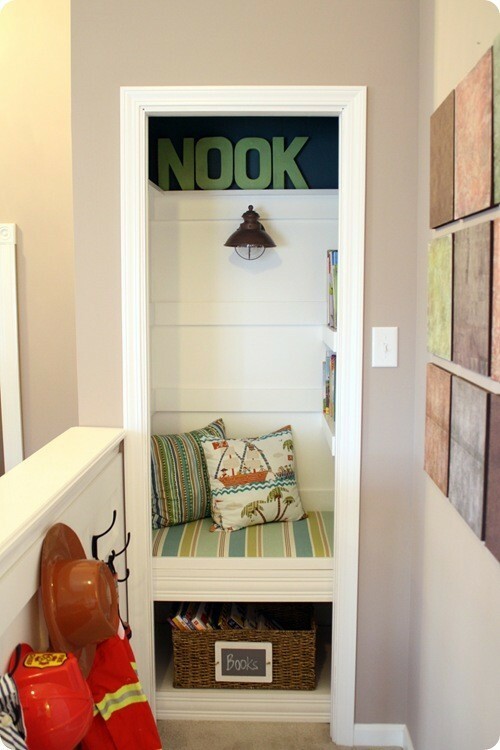 What's your favorite type of nook? Breakfast, window, reading? I'd love to hear!